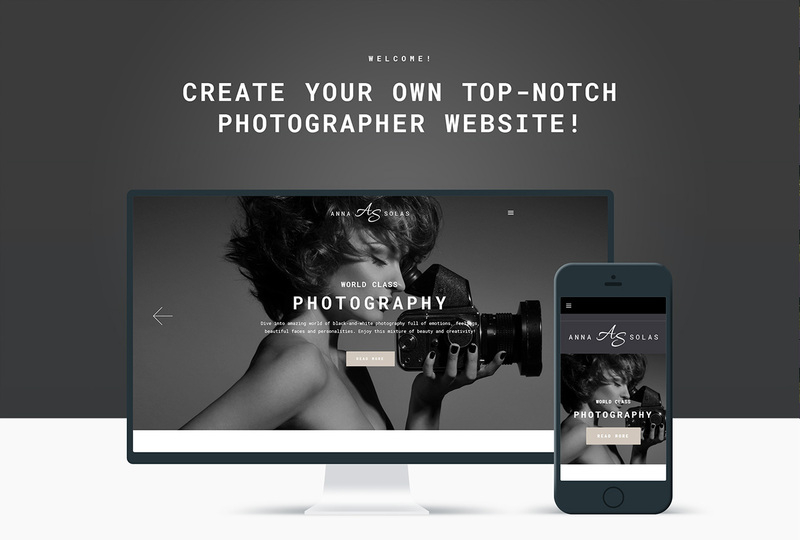 A fully responsive Photographer Portfolio WordPress Theme that will be a great representation of your photographer talent. 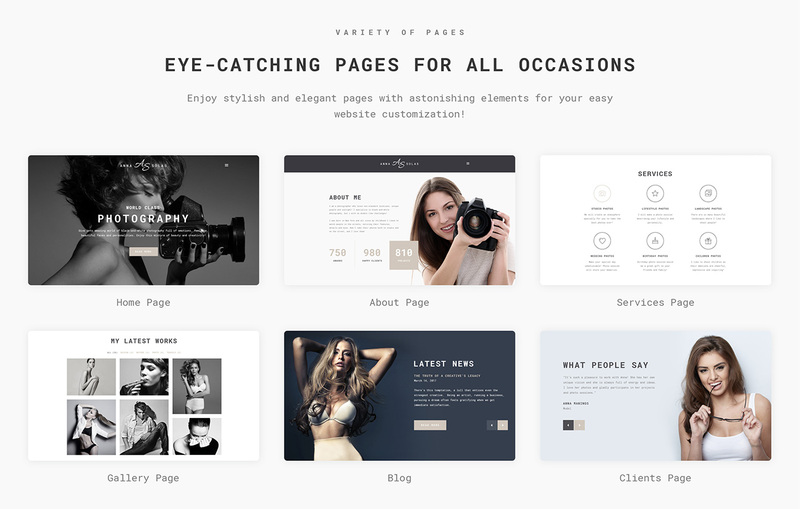 If you want to make an online portfolio, this theme is what youâ€™re looking for. It has fast, well organized interface that can be customized to your taste. With our visual customizer, which is a WYSIWYG theme settings manager, you can setup fonts, site structure, widgets positioning, images and colors schemes. Different layouts with multiple pages, each element (like buttons, progress bars, forms, etc) can be customized. This theme will suit both a beginner photographer as well as a pro. No deep web programming skills required, just install this theme and show the world your amazing photography portfolio! Sorry, but I would like to join to Theodore. Really beautiful template, easy installation process, but... After the setup process, the look is not the same, and the gallery documentation is somewhat incomplete. I&#039;m sorry, but I feel the same as Theodore. The instalation process is easy but the template its not like the demo view and wants to make big changes to customise.Espescialy the photo gallerys without documentation about it its hard to manage it.